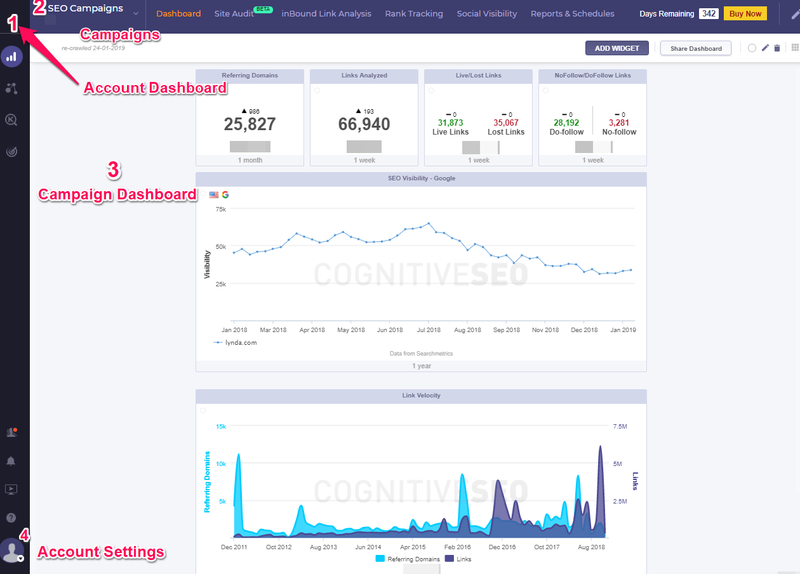 The Account Dashboard is a unique feature which enables the user to view all the SEO data presented in a single window. This SEO dashboard helps you access information faster and it will save lots of time. You can access campaign statistics faster and easier without the hassle of clicking on too many links. Here you can find the list of all your campaign. There are also two buttons that help you order your list in alphabetical order or based on its creation date. You can also have a search bar so you can find certain campaigns easily. the total number of users available for your subscription and how many you’ve added. This is a list with all the campaigns created on the account. You can click on the arrow to see the list of all your campaigns. 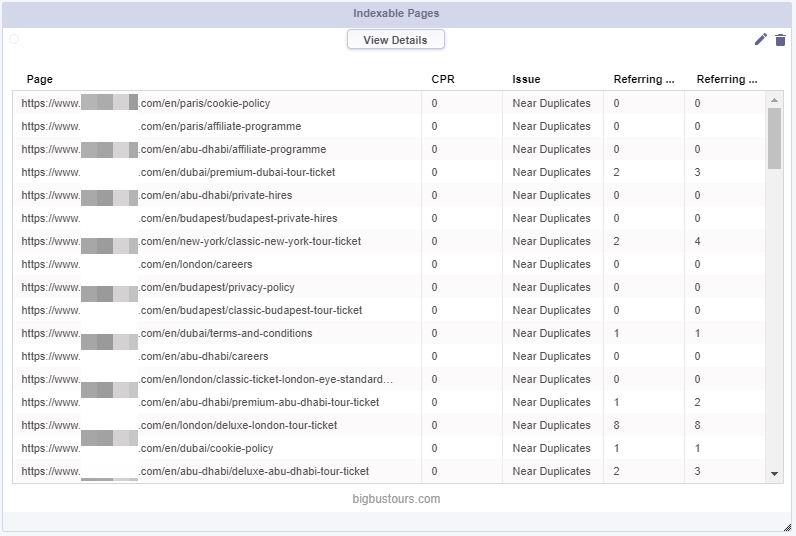 If you want to get instant data about a specific campaign click on the name you’re interested. 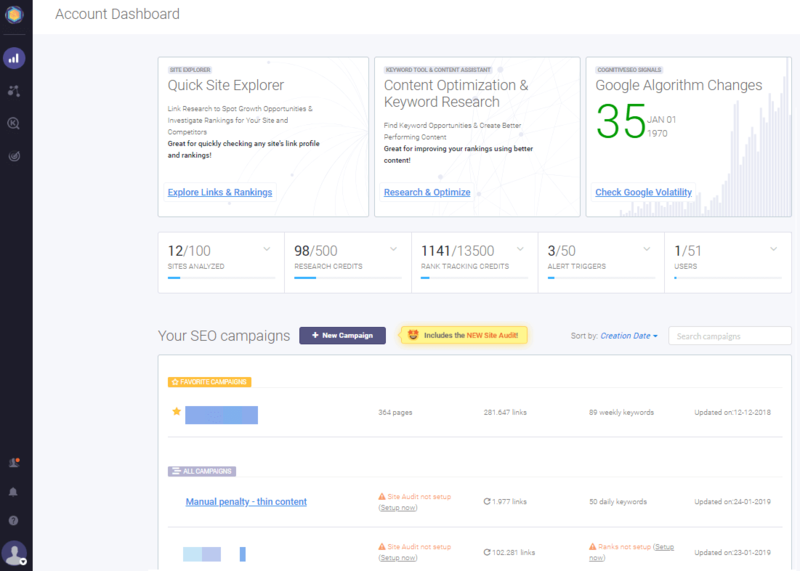 The main area of interest from the SEO Dashboard. This is the panel where the SEO data will be displayed. This area is fully customizable with statistics of your own choosing. Here you can also tag the data boxes with different colored tags which you can later on filter based on your needs. If you don’t have any widget on the campaign dashboard, the first thing you’ll see will be a button that helps you create your first widget. This area of features offers you brief information regarding your account. That way, you have a bird’s eye view on certain statistics and limits from your account. From here you can also make certain changes like modifying the whitelabel or creating new users. To create a new campaign from the Account Dashboard, all you have to do is click on + New Campaign. This takes you to the “New Campaign Wizard” where you’ll be able to add details about the website you want to analyze. In order to find any campaign easily, you have a search bar integrated in the Account Dashboard. You can find the desired campaign by typing the exact match of the title or just a part of the title. 1. The first step is typing the title or a part of the title from the desired campaign in the search bar. As you can see in the screenshot, you need to search only for the word “New” and the tool will display all campaigns that contain this wording. 2. You can mark campaigns as favorite by clicking on the star placed in front of the campaign title once you hover over the campaign. Once highlighted, these campaigns marked as favorite will appear at the top of your list regardless of the alphabetical order or the creation date. 3. There is also the Edit Campaign button that you redirect you to the Editing Campaign Wizard. 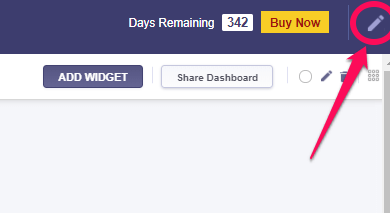 To add a new widget on your Campaign Dashboard, you have to click on the “New Widget” button that you can find in the upper right corner of the panel. Label – this is the header of the widget. It’s editable so you can customize the titles in order to help you identify the data faster. The website you want to create the widget for. Reload time – This is the amount of time after which the widget’s data are refreshed. 2. From this area you can move the widget around the Dashboard. In order to move a widget, you need to click and hold the cursor on the header of a widget. Next, you just have to drag the widget to the desired location. 2. The reload time for the data – You can set at how many minutes the information from the widgets is refreshed. 4. This button lets you delete the widget. 5. Here you have the period of time for which the data are displayed. You can also change the period of time by clicking on the text. 6.You can also resize the widget window to a custom size. To do so, you need to click on the bottom-right corner of the widget window and drag it to the desired dimension. 1. Filter by Tag – This filter gives you the ability to display widgets that pertain only to a certain tag. You can also reset the filter by clicking on the “x” at the end of the tag list. 2. It generates a unique and secret URL which you can easily share with people that do not have a cognitiveSEO account. 3. By clicking on this button you are sent to the Edit Campaign menu where you can change certain settings for the current campaign. 4. This button enables you to delete the current campaign. 5. In this menu you can select the desired dimension of your usable Dashboard space. By default, the Dashboard is set to “4 Col ___ px”. You may choose the desired dimension depending on your screen’s resolution. 6. The Settings Panel can be easily closed by clicking on the arrow-head pointing to the right. Here is an example on how the dashboard page looks to someone who accesses the URL. It is worth mentioning that the information provided in the screenshot is dummy data. You have the possibility of multiple selection of several widgets. The dashboard is fully customizable, meaning that you can move or resize all the widgets to any wanted size just by clicking on the bottom-right corner of the widget window and dragging it to the desired dimension. Multiple selection of the widgets can be a real gain as you personalize your dashboard. Having the dashboard your way is made even easier now as you can select how many widgets you want and place them wherever you find it best on your dashboard. You’ll be redirected to the Campaign Creation wizard where you can change the setting and edit any information you want. You can easily see your subscription details such as limits and the remaining credits. Also, there is the option to Update payment info or Ask for a personalized offer in case you want to change your subscription. In case you want to edit your login details you need to look here in the Account details. Plus, you can select your email notification. You can easily place a white label containing your own customized logo. 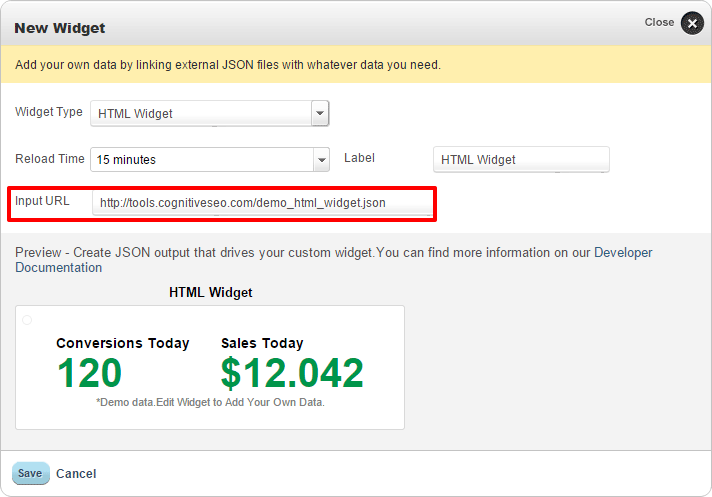 The tool is set by default to display the cognitiveSEO logo. If you wish to customize the display of your cognitiveSEO account you can click on the Edit button that will send you to the Whitelabel & PDF Reports from Settings. Here you can change your subdomain URL and subdomain logo. Get the whole list of payment and view every invoice from this panel. You can easily create a new user for the current account. You can create new users for clients or colleagues with limited or full access. Clicking on the “Create New User” link you will be sent to the Add New User page from Settings. Here you can fully customize user’s access and contact information. In the right side of the link you have the current number of users created on the account and the maximum number of users that can be created based on your current subscription. 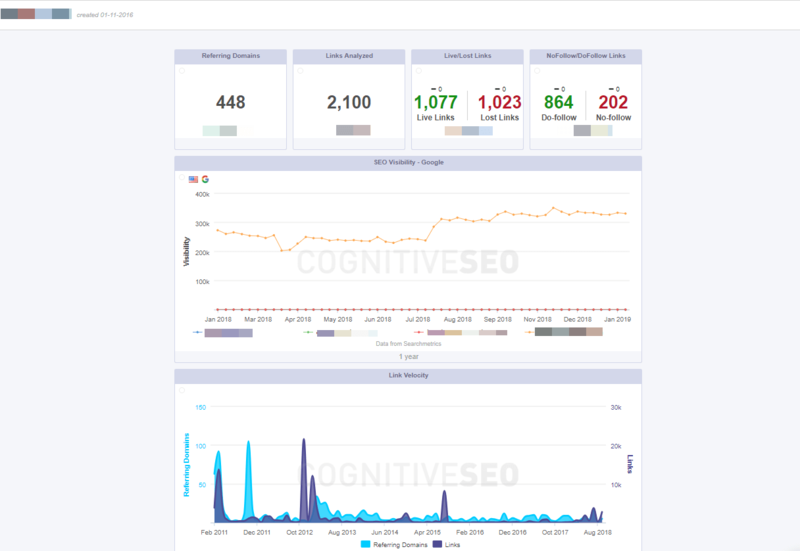 Authorize your Google Analytics account to see information about traffic in the cognitiveSEO dashboard next to the data regarding links and rank tracking. For higher costs and custom subscriptions, there is possible to enable an API key. Once you have enough rights to access that resource, you’ll see here the key code for your APIs. If you have an API key for the Page Speed Insight you’ll see here any information for that. This key is available for the Site Audit tool. This widget can be customized and you can select what data you want to see. In the example above it is presents the total number of issues found for the site. 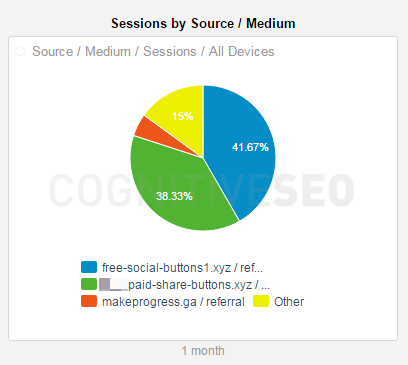 This widget can be customized with data from the Site Audit tool. In the example above you can see the historical data for Indexable page. This widget can be customized. 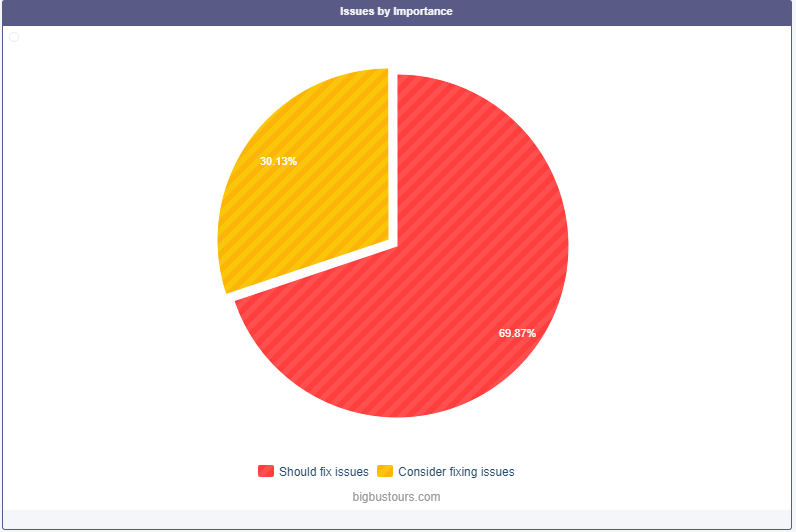 In the chart above you can see issues by importance for the site analyzed. There are two categories: should fix and consider fixing. This chart can be customized. In the example above you can see the issues categorized by typology. Site Audit can show you data regarding indexability, content, architecture, mobile and website performance. This widget presents the list of indexable pages and the issue associated to them. For the example above you can see the pages that have duplicate content. That means the content from such a page can be found on some other pages as well. 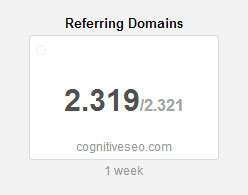 This widget presents the total number of analyzed referring domains for the site. A lot of SEO professionals are impressed and guided, by the total raw link counts of a site. The number of links a site has is indeed important but more important is the number of referring domains. Here you will find information about the total number of analyzed links for the site. You might notice a discrepancy between these two numbers. That is because we extract only the newest and most important links (up to 20 per referring domain). The rest of the links are site-wide links that distort the analysis and do not have any value from an SEO point of view. You can see at just a glance the total number of new/lost links for the site starting from a selected date. 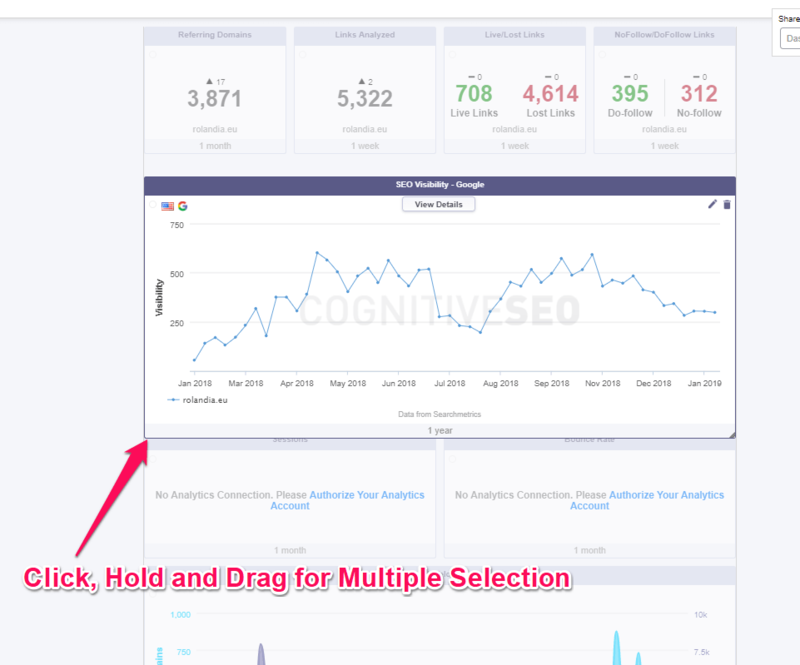 The New/Lost Links widget is an important signal on what is happening to you and your competitors right now and can give you ideas for new SEO directions and can reveal new opportunities. Here you will find information about the total number of Live and Lost links for a specific site. It’s true that live links are the one are the one that should concern you most but valuable information can be pull out from the number of lost links also. You should always keep an eye on the live/lost link ratio and whenever you plan a new direction or strategy, you should take these numbers into consideration also. You will find information about the total number of NoFollow/DoFollow links for the site starting from a selected date. Regardless of the rumors you hear, both follow and nofollow links are a natural part of the web that you need to be aware of. Do follow links may do more for SEO, but both deserve a place in your online marketing strategy and both need to be tracked. This widget we’ll let you know in an instant the total number of Unnatural, Suspicious and OK links for the site starting from a selected date. With all the Google algorithms going on, this might be one of the most helpful widgets in a webmaster’s attempt to stay away from penalties and maintain a healthy link profile. it’s highly important to be taken into account and represents the growth trend of a site’s link profile. Link Velocity trends can also be natural or unnatural. An unnatural link velocity will have various spikes on various time frames without generating a natural looking trend. This widget will let you know the Historical Link Velocity for the site starting from a selected date. You can easily spot the Historical Daily New/Lost Links Evolution starting from a selected date. The historical chart widget helps you have an overview of the new/lost links over the time and see a clear evolution of your site from this specific point of view. You can easily spot if some major loss or acquiring happened in specific periods of time and closely analyze those situations in order to get the best out of them. The Historical List/Lost Links Evolution starting from a selected date. Our live links and lost links widget allow you to see in an instant how many live links a site has compared to the number of links that that once existed and ceased to exist anymore. Without having a list of freshly crawled data you cannot have an accurate analysis of your link profile. You are here presented with the Historical Unnatural Links Evolution starting from a selected date. Knowing the numbers of unnatural/ok/suspect links is important but being aware of their evolution in time can get you a lot of benefits. Here you can see the Historical Text/Image/Redirect Links Evolution starting from a selected date. It’s highly important to know the origin of your links and the way they evolved in time. 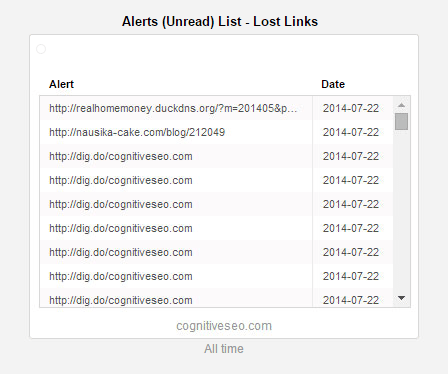 This widget will help you see the Historical NoFollow/DoFollow Links Evolution starting from a selected date. Being aware of this evolution is important as knowing the past can help you make the best choices in the present. The Historical Website Category Links Evolution starting from a selected date will let you know the categories in which your links fit. These categories can vary from food to business, culture, education, games, gambling, etc. The Historical Webpage Type Links Evolution gives you valuable insight where the links are coming from: social networks, blog, forums, web directories, etc. starting from a selected date. The Historical Link Positioning Links Evolution gives you information about the position of the link during time, since a selected date. The position might be in a group of links, on banners, on blog comments, short paragraph of texts, etc. This widgets informs you about the ratio and the number of OK – Suspect – Unnatural links that a site has. Here you can find the widget presenting The List of New Links for the site starting from a selected date. Not only the new link number is important but also knowing who is linking to a certain website, what type of backlinks that site gets or what type of site those links are coming from. Here you can find The List of Lost Links for the site starting from a selected date. Visualizing the lost links helps you maintain a healthy link profile. You should always stay alert and check The List of New Unnatural Links for the site starting from a selected date. This widget might get you out of a lot of trouble by helping you prevent a Google penalty. The List of New Suspect Links for the site starting from a selected date gives you an insight about the links you should take a look at and figure out the reason they are considered to be suspect. The List of New OK Links for the site starting from a selected date offers you information about the links your site has that comply with the search engines guidelines and are considered to be organic. 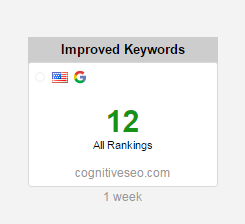 The total number of keywords that have an improved ranking starting from a selected date. An important metric that gives you an overall idea if your keywords are improving. You are also given info about the location of the rank tracking and the search engine where the keywords have improved. 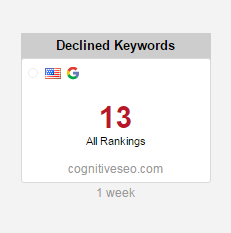 The total number of keywords that have a declined ranking starting from a selected date. 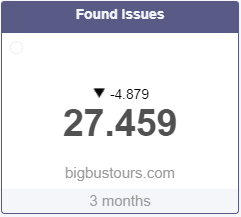 You can check to see how many keywords are declining and detect possible problems. 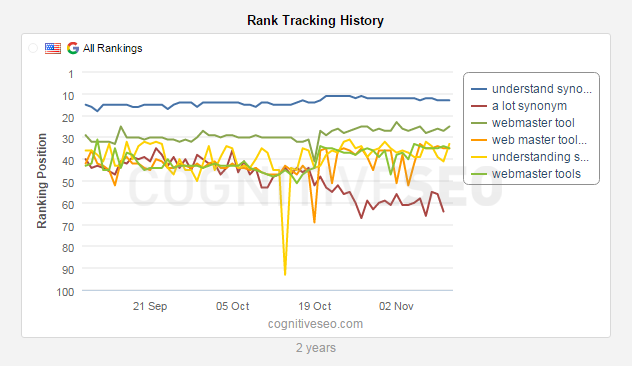 You are also given info about the location of the rank tracking and the search engine where the keywords have declined. The total number of keywords that don’t have an improved or declined ranking starting from a selected date. You are also given info about the location of the rank tracking and the search engine where the keywords remained unchanged. If there are lots of keywords unchanged for a long period of time it’s a sign of stability. The Historical Ranking Trend for the site starting from a selected date, on a specific device, country and search engine. 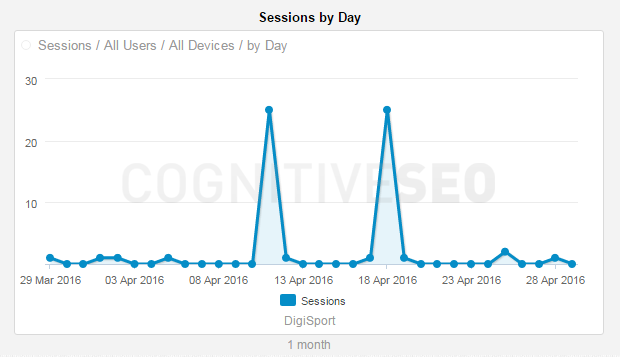 This widget displays the trend for all keywords monitored for the desired site. It’s important to watch over the ranking trends of your website and the ones of your competitors to detect problems, strategies or possible successful strategies. SEO visibility is a widget that is monitoring the search performance of a website as it presents the historical development of a domain’s visibility in Google.The SEO Visibility provides you with great value of the market environment and also helps you easily identify market trends and digital marketing strategies. It is calculated based on millions of keywords that are tracked in Google and their importance and traffic volume. Each keyword has a particular importance and based on that and the ranking of the tracked site a SEO visibility score is calculated. This score is updated weekly. Rank Tracking History Widget allows you to see the evolution of the keywords that matter most to you, on the search engine you choose: Google, Bing or Yahoo, on the device you choose (desktop or mobile) and on the location you chose. You can add up to 20 keywords to closely monitor for whatever campaign or site you wish. Having the possibility to add more keywords in the same chart, gives you the chance to compare the evolution of different keywords. Depending on your needs, you can add as many Rank Tracking Widgets as you wish. The List of Improved Keywords for the site starting from a selected date. 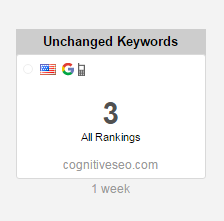 This widget displays a list of keywords which have improved their ranking since the previous check. For example, if a keyword has the position 10 and in the third column it writes 3, it means that it improved 3 positions. You are also given info about the search engine the keyword has improved on, the country where it’s being tracked on, the ranking page and its search volume. The List of Declined Keywords for the site starting from a selected date. It displays a list of keywords which have declined their ranking since the previous check. For example, if a keyword has the position 10 and in the third column it writes 3, it means that it declined 3 positions. You are also given info about the search engine the keyword has declined on, the country where it’s being tracked on, the ranking page and its search volume. The List of Unchanged Keywords for the site starting from a selected date. It also displays their current position. You are also given info about the search engine the keyword remained unchanged on, the country where it’s being tracked on, the ranking page and its search volume. The List of All Keywords shows you all your tracked keywords on their current position. You are also listed with the change that keyword had, if any, the search engine the keyword is tracked on, the country where it’s being tracked on, the ranking page and its search volume. The total number of Twitter shares for a site. The total number of Facebook shares for a site. The total number of Google Plus shares for a site. The total number of shares for a site. This shows you how your site is performing overall on social platforms. 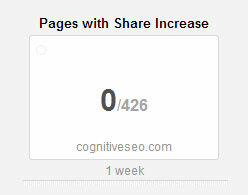 The number of pages from a site that have a Share Increase or Decrease starting from a selected date. This gives you the opportunity to see how many pages are performing well on social platforms. The number from the right side represents the total number webpages from your website. The number of Newly Shared pages from a site starting from a selected date. In the right side you have the total number of pages you have on the website. The Historical Evolution of the Social Shares for a site starting from a selected date. The chart contains data about the evolution of your website’s total shares on Google, Facebook, Tweeter and also the total shares. The Social Shares Distribution across all the tracked social providers for a site. This is a visual overview of the breakdown on social share. The List of Pages from a site that have a Share Increase or Decrease starting from a selected date. You can identify which pages have performance spikes in order to identify which type of content proves to be interesting over time. The List of Newly Shared pages from a site starting from a selected date. Useful to check how your newest website pages are performing on social platforms. 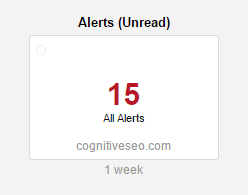 Here you can see the total number of unread alerts. The number of unread alerts regarding the new links. Useful when you want to monitor the new coming links to any site. 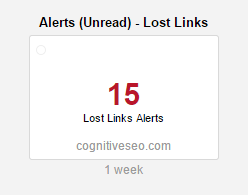 The number of unread alerts regarding lost links. Useful when you want to monitor the lost links of any site. The number of unread alerts regarding the rankings. Useful when you want to monitor the rank tracking of any site. The list of alerts regarding the new links. You can see the date when the alerts were triggered and also the new links coming to the site. The list of alerts regarding the lost links. You can see the date when the alerts were triggered and also the lost links for the site you chose. The list of alerts regarding the rank tracking. 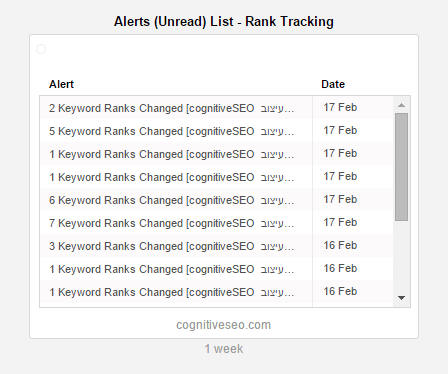 You can see the date when the alerts were triggered and also the number of keywords that changed their position for the sites you chose. Here you can see the anchor text distribution ratio between brand anchor texts, commercial and miscellaneous ones for any site you choose. On this chart you can see the historical evolution of the anchor texts you are monitoring for live links only. On this chart you can see the historical evolution of the anchor texts you are monitoring for lost links only. This widget allows you to add your own text and set what you want to be made aware of. It helps you better organize and segment your dashboard. This widget allows you to add your own third-party metrics.You can add data regarding the tool or external data of any kind. This widget can be set to have a reload time for up to 1 minute, getting fresh data on the dashboard in real time. When you are adding a new HTML widget you need to format your Input URL just the way is presented in the example above. Google Analytics Widgets have such a high level of personalization that out of the hundreds of combinations can be made. 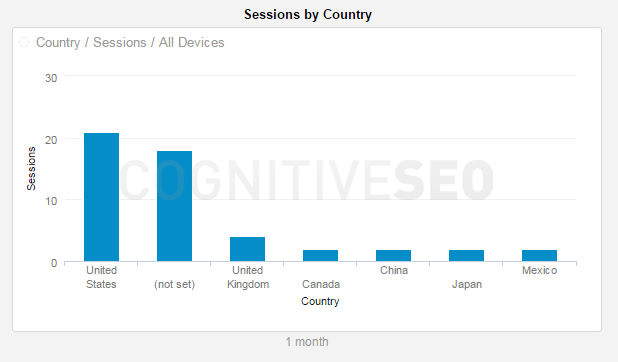 From pie charts to tables and bar charts, any of your Google Analytics data can be displayed directly into your cognitiveSEO account. Below there are listed only some examples from each type of Google Analytics widgets. Google Analytics Widgets can only be displayed if you authorize your account first. More about authorization and management of these widgets can be found here.